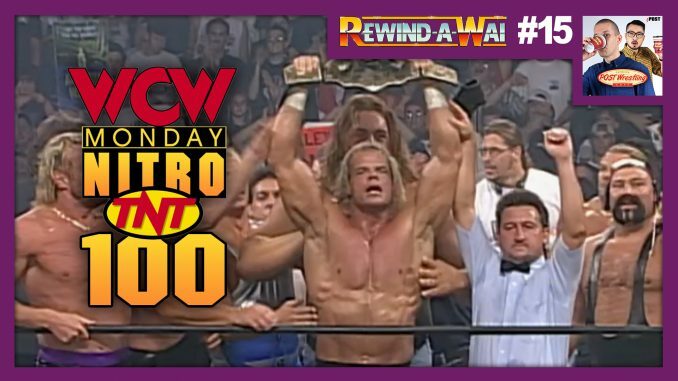 Also on this special three-hour Nitro, JJ Dillon attempts to sign Sting, the Steiner Bros. reveal a major announcement, Alex Wright dances with the Nitro Girls, and 12 other matches heading into WCW Road Wild 1997. This edition of the show is presented by Espresso Executive Producer, Brent Nicol. Watch the full show on the WWE Network here (please note that the episode is labeled WCW Nitro 99). *Los Villanos (Villano IV & Villano V) vs. Hector Garza & Lizmark Jr.